Southard is a family owned and operated winery located a few miles north of Selah, Washington. They excel at Rhone Style Rhône cultivars from the Columbia Valley, Yakima Valley, and Wahluke Slope AVAs. This Saturday we’ll be pouring a great line up of their wines. The wines are all boutique, hands on, small production creations. Scott Southard, the winemaker and kingpin of the operation will be here to tell you all about them. Come join us. The Columbia Valley Red is a dry and mineraly blend with notes of blackberries, cherries and black pepper. 61% Grenache, 18% Mourvèdre, 12% Cinsault and 9% Counoise. This is from the Wall Street Journal’s weekend cooking and eating section called: The Everyday Sommelier on the Corner. It is the Dog Days of August, with some being yipping pups and other panting beasts. To beat the canine stupor we rounded up a number of specials that will break up the doldrums and enliven the most dogged torpor. Come check them out, because like the summer, they won’t last forever. Manfred Felsner cultivates 38 acres of vineyard sites in Kremstal using environmentally friendly farming. The grapes are highly selected using multiple passes of picking at harvest. The old vines on the estate, dating back a couple of generations, bring depth and complexity to the wine. The Alte Reben is a single vineyard Grüner that is clean and elegant, with the typical crisp varietal character and weight. The Plantenay is a fine Chardonnay from this Burgundian collective of growers. The grapes for this Rully were grown with lutte raisonnée or ‘reasoned struggle’, a practice that uses chemicals less often and less aggressively than conventional growers The wine offers aromatic complexity with pineapple, apricot and floral notes held together by fine acidity and good minerality. Catherine and Didier Tripoz took over this flagging domaine in the 1990s and have worked hard to restore it to glory. The 10 hectares of vineyard are situated to the south of the Maconnais region, close to the great vineyards of Pouilly-Fuissé. The grapes for for their Pouilly Fuissé come from older Chardonnay vines. The wine is fruit driven with apple and citrus flavors and a long elegant finish. It sees no oak ageing, and is crisp and refreshing. Vereingte is one of the United Hospitien a group of traditional wineries in the Mosel set up to provide financial security for the old, sick and disabled people of the region. The wine cellar of the winery United hospices located in an old Roman walls dating from 330 AD and is the oldest wine cellars in Germany. The Goldtröopfchen or gold droplets is a dryer Riesling with appealing fruity flavors of citrus and spicy acid and mineral notes. From up in Trentino in Northeast Italy, this lighter alcohol (12.5%) Lagrein has intense aromas of blackberry and sour cherry along with Violets and Tobacco notes along with soft fruit flavors of cherry and plum. It is a great versatile food wine. This Central Otago Pinot is fermented traditionally in open topped tanks with a portion of whole bunch included in each fermenter using indigenous yeasts. The wine is hand plunged for a month for tannin development prior to gentle pressing through a basket press, then matured in French barriques for 10 months before bottling. The Maude has a dark and brooding nose of mulberry, plum pie and ripe blackberries along with wild thyme, violets and toasty chocolate. It has good concentration of fruit flavors coupled with strong yet supple tannins. 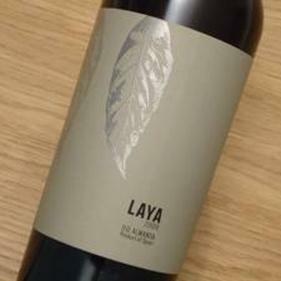 The Laya is a full and fruit packed Spansh blend from Bodegas Atalaya. Grown on high altitude vines in Almavasa, it is just another example of what great values new Spanish wines can be. Stop in and try it. Beat the heat on Saturday by beating it up to the wine shop to check out some fresh and refreshing new local wines. We’ll have some bubbles, a little mystery, some refreshing reds and a little magic. Treveri Cellars is a newer addition to the Washington Wine scene that specializes in Methode Champenois sparkling wines. Winemaker Juergen Grieb learned his craft in Germany before moving to the states. This Blanc de Blanc is zero-dosage, completely dry, with hints of apple, complex yeast tones, and acidity. On top of that it is really affordable and NOT made by St Michelle. What else can you ask for? The Northwest Vine Project was born from the idea that delicious, mouth-filling wines can be handcrafted at reasonable prices. Partnering with a rotating selection of big name winemakers who usually aren’t named, they source good fruit and make a range of quality inexpensive wines. Sourced from the Hyland Vineyard in McMinnville from vines planted in 1971, the Riesling is elegant and complex with a soft, supple sweetness balanced by lively acidity. Blended from sites throughout the Willamette Valley and raised in stainless steel to maintain pure varietal fruit character and freshness with about a quarter new French oak for greater complexity and structure. This medium-bodied Pinot Noir has a straight forward appeal and matches well with a wide range of foods. Walter Dacon focuses on Rhone and Mediterranean style wines sourced from select vineyard sites in the Yakima, Columbia Valley. The Skookum Red has aromas of fresh blackberries, strawberry and black fruit, just lively enough not to be too tart. It is smooth and refreshing with only minimal tannin making it an excellent complement to summer fare. 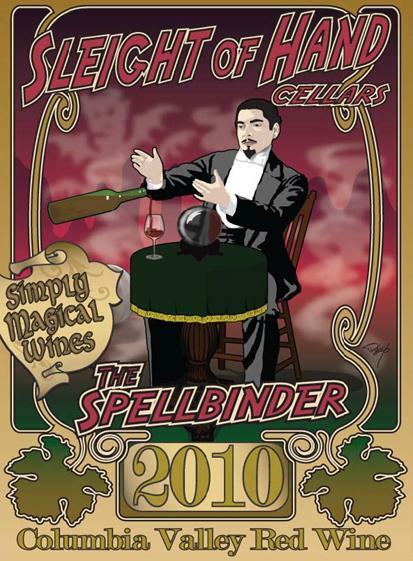 Sleight of Hand Cellars, a tiny “garagiste” winery located in Walla Walla, is the brainchild of winemaker Trey Busch producing “Simply Magical Wines”. The 2010 Spellbinder was aged in older French oak barrels for 11 months. The cooler growing season allowed for extended hang time for the fruit, allowing for full flavor development while retaining the natural acids that make this such a terrific food wine. Loaded with black and red fruits, this wine has supple tannins and it should age for a while, but it drinks so well right now, who can wait? Free Towelette From Madrona Wine Merchants. 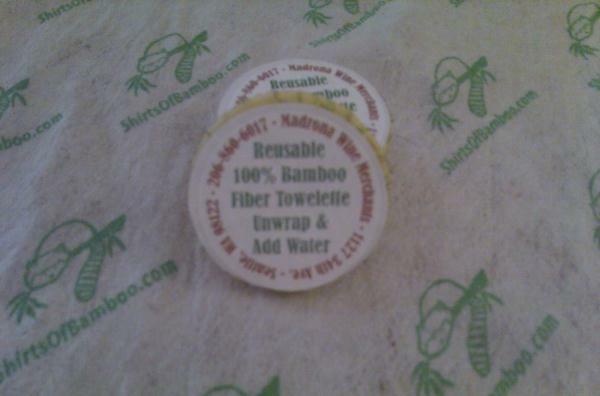 For a limited time Madrona Wine Merchants is including a free reusable 100% Bamboo Fiber Towelette with every purchase – just wrap, add a little water, and presto, you have a 12″x20″ towelette. Great for cleaning up those wine spills. Handy to keep in the car for that last minute polishing. Just our way of saying thank you for your business. It is the dog days of Summer, but we have something to beat the heat. This Saturday will be pouring an intriguing line up of Italian wines that will tantalize the brain and sooth the spirit. These are no common pizza wines. We have a crisp Tocai, A horsey Tuscan blend, a monkish Schiava and a sparling Bonarda. Come and get refreshed. This Pinot Gris comes from hillside vineyards with chalky limestone and volcanic soil that surround Orvietto. The wine is crisp, fresh with a good spicy note. Friuli-Venezia Giulia lies in the far northeast corner of Italy. Bastianich’s vineyards there sit in two distinct zones. The original vineyard in Buttrio/Premariacco is influenced by the warmth of the sea and is famous for producing wines of great power. The second property, in Cividale del Friuli, is influenced by the bora, or north wind. With cooler nights, the wines are much more aromatic. Both areas share similar soil, ponca, the crumbly sandstone gives the wines their signature mineral backbone. The Adriatico is medium bodied with ripe, luscious pear flavors carried by a refreshing mineral flavor and zesty, mouthwatering acidity. This red wine was created for the Contrade of Siena to be served at their traditional banquets during the days of the Palio (a yearly horse race). Fresh, and fruity, the Contrada is a robust Tuscan food wine with scents of ripe cherries and violet, soft tannins and big bright fruit combined with a balanced acidity. Novacella is an Augustinian monastery founded in 1147. Today the monks still make wine to support the monastery. This Northern alpine Italian red is light and fresh with aromas reminiscent of red summer fruits and cherry; succulent, gentle and fruity on the palate with soft, unobtrusive tannins, mild but refreshing acidity and a typical hint of almond on the finish. This Bonarda Frizzante is a sparkling red wine familiar in the north of Italy. The estate lies on a hill that borders the regions of Emilia Romagna and Lombardy. The wine possesses plenty of fruit, intense aromas of raspberry and a dry palate of great elegance. Fresh and unusual. This Saturday we are heading to the other end of the earth and exploring the wines of South Africa. The warm climate blended with cool breezes off the ocean come together to make for great grape growing. Each region excels in different varietals and we’ve found some excellent examples to show that off. Take a break from the Seafair frenzy and come tour the Cape. Badenhorst is a family estate in Swartland growing old bush vines that are bio dynamically farmed. The Chenin is full-bodied yet discreet and inviting, with herbal, floral and citrus flavors. The estate is located only 3 kilometres from the Atlantic Ocean and the cool breezes that come in off the ocean make this the coolest region for wine production in South Africa. The blanc has full aromas of lime and gooseberry and a touch of mineral along with flavors of lemon and pineapple. The wine gets its name from the early settlers in the Franschhoek valley (where the Boekenhoutskloof winery is located) who built Wolftraps. The only problem is, there have never actually ever been any wolves in or around the region. The reds were fermented using selected Rhone strain yeasts. French oak matured with Viognier blended prior to bottling. Egg white fined. The wine has a spicy profile with ripe black fruit and violets with soft tannins, good density and a hint of oak. Swartland’s deep red soils sustain these unirrigated bush vines through the long warm summers. The harsh condition is tempered by cool Atlantic breezes rolling in overnight. The wine has initial smoky cloves and savory notes that give way to a plum and black cherry nose with hints of sweet oak spice. The Fairview Pinotage is sourced from a number of different vineyards in the coastal region of Paarl. It is a classic example of this uniquely South African varietal. The wine is big and earthy with smoky aromas and lots of dark ripe fruit. Madrona Wines Monthly August Selections. Join Madrona Wines Monthly and get either six or twelve exciting new finds from our cellar. All wine club members get 10% off our normal price on each selection. 6 bottle selection: $50 – $75 plus tax. 12 bottle selection: $100 – $150 plus tax. 30 year old vines aged in 1/3 new oak, all for 15 bucks. Pencil lead, leather and dark fruit. Tasting good now and should get better. A packed Malbec from Cahors, with nice fruit up front and a big mouthfeel. The descendants of Dante, who have been biding their time making beautiful Amarone, Branch out into Tuscany and put out this great deal in a Sangiovese blend. A little tar, a little dry berries, a little licorice. A big bodied Washington Merlot at a little price. 100% Rolle from south France. Dry, full-bodied. A big bodied Rhône style white from east of the mountains. This semi sweet Riesling has lots of soft spicy fruit loaded with apricot, pear, and apple flavors. Big mouthfeel and a long finish. 9.5% alcohol. Try it with Thai or other spicey Asian food. Was $20 now $12. A very floral and spicy white for Puglia. A Provance Rosé that is light in color but full of crisp citrus and tropical flavors.